Wow -- it's been a busy week in the crafting world! The summer CHA (Craft and Hobby Association) show has been in full swing in Las Vegas this week -- so today I have two fun things to share with you...some new CHA products and then a really fun tutorial! 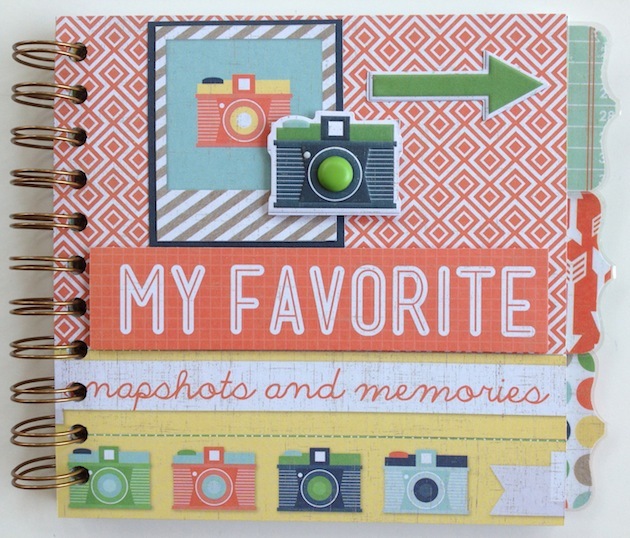 For this mini album, I used the We R Memory Cinch binding tool and their awesome Tab punch. I love that the tab punch also has matching tab stickers that reinforce the tab -- really cute! For this layout, I used We R's Crafter's Stapler to attach the title and word strips. I just love We R Memory Keepers and I hope you'll hop over to their site and show them some love this week -- they have lots of CHA sneak peeks and giveaways for you to check out! If you visit Lori Whitlock Designs today, you can learn how to use the knife tool to make your Silhouette designs your own. 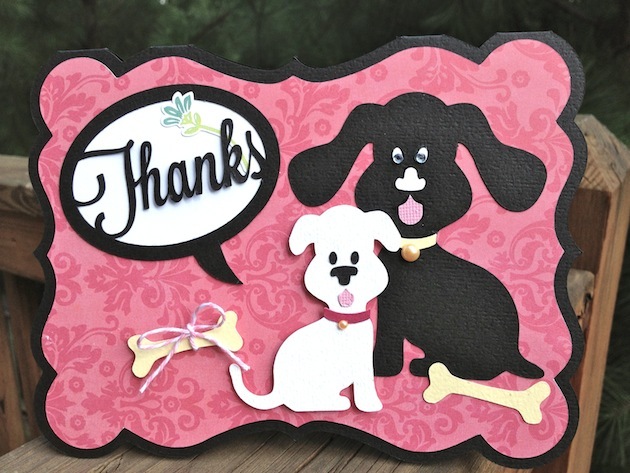 For this card, I wanted the dogs to look like my sweet pups, Maisy and Reeci. 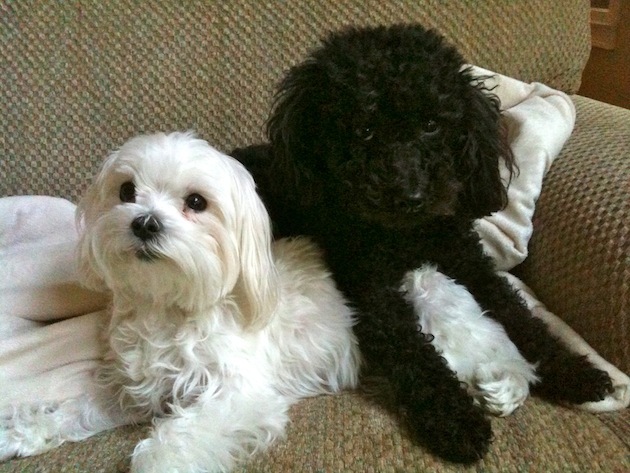 I love Lori's cutting file, but needed one of the dogs to have a shorter tail...and one to have shorter ears. This is easy to do! Head over to Lori's blog to get all of the details! Thanks for visiting Artsy Albums!